Facial coloration helps gray wolves and other canids communicate with conspecifics, according to a study published this week (June 11) in PLOS ONE. A team led by Shiro Kohshima of Kyoto University’s Wildlife Research Center in Japan examined 320 images of canids from 25 different species, classifying them according to their facial color patterns. Canids with light irises, including gray wolves and red foxes, were categorized as A-type (11 species). Those with dark irises but light skin or fur around the eyes, such as fennec foxes, were B-type (nine species), while those with dark irises and dark coloration around the eyes, like bush dogs, were C-type (six species). The researchers found it easiest to gauge gaze direction in A-type canids, whereas the same was somewhat more difficult in B-type and hardest in C-type. Further, the researchers found that A-type canids were most likely to be group-living and -hunting species, while B-types were more likely to live solo or in pair arrangements and be lone hunters. The team also observed gaze behaviors—such as pointing the face another animal for more than one second and keeping the body still among other behaviors and postures—in gray wolves, fennec foxes, and bush dogs. 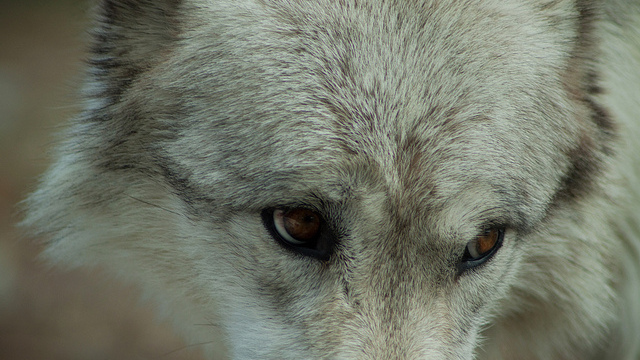 Gray wolves engaged in gazing behaviors the most. Bush dogs engaged in gazing behaviors least often and fennec foxes were in between the two. “The fact that the studied canid species with A-type faces tended to engage in group living suggests that they use the gaze signal in communication among group members, as the need for communication is larger for group-living species than for solo/pair-living species,” the researchers wrote in their paper. Oxytocin makes dogs more affectionate with their human owners and more social with other dogs, according to a study published this week (June 9) in PNAS. A team led by Teresa Romero of the University of Tokyo sprayed 16 domestic dogs with either oxytocin or saline before allowing them to interact with their owners. Dogs sprayed with oxytocin were more likely to sniff, lick, and paw at their owners or stare into the humans’ eyes. Dogs sprayed with oxytocin also spent more time socializing with other dogs, as well. 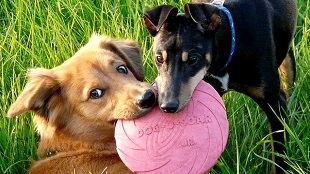 "We found that after receiving the oxytocin spray, dogs displayed more affiliative behaviors and paid more attention to their owners than during the controls," Romero told Discovery News. Koalas (Phascolarctos cinereus) hug large tree trunks to keep cool during hot weather, according to a study published this month (June 4) in Biology Letters. Koalas live exclusively on eucalyptus leaves, getting both their food and water from them. But they also spend time in other kinds of trees, such as acacias. A team led by Michael Kearny of the University of Melbourne in Australia fitted koalas with radio collars and observed their postures, activity, and positioning in trees to understand how they use the different plant species. The researchers found that in cool weather, koalas spent 5 percent of their time in acacia trees, but in hot weather (warmer than 35ºC/95ºF), they spent nearly a third of their time in acacias. Acacia trees are on average 7ºC cooler than their surrounding air, compared to eucalyptus trees, which are only 2ºC cooler than air, on average. 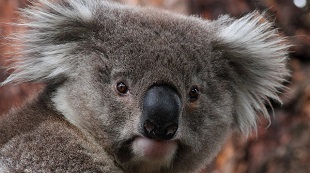 The researchers noted that their finding could have implications for how conservation scientists plan koala habitats. “The way koalas use their environment appears to be quite complex, and this just adds another layer to it,” koala ecologist William Ellis of the University of Queensland in Australia, who was not involved in the study, told Science. Rats show signs of feeling regret, according to a study published this week (June 8) in Nature Neuroscience. Adam Steiner and David Redish of the University of Minnesota wanted to understand if rats felt regret—a sense they had made a mistake and that things would have gone better if they had chosen otherwise—or only disappointment—a sense that things didn’t work out, but that their actions wouldn’t have made a difference. The researchers constructed a maze design called “restaurant row” with four different food stations. A tone told the rats how long they would have to wait for the food at each station. The rat could wait out the delay or forego the food for the next station. Steiner and Redish found that when the initial food was a favored one and the second food station’s wait was longer, the rats would often look back at the previous choice. “It looked like Homer Simpson going, ‘D’oh!’” Redish told Wired’s Zoologic blog. The researchers then implanted small electrodes to monitor activity in the rats’ orbitofrontal cortices. 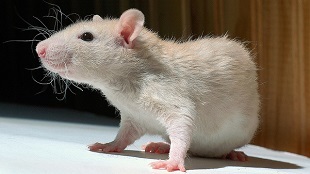 They showed that when rats were looking backwards, their neurons fired in a pattern associated with the previous restaurant, indicating that they were thinking about their recent food choice. Researchers described a spider that mimics bird droppings to hide from predators last month (May 29) in Scientific Reports. 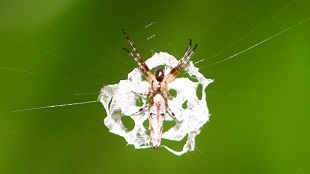 A team led by I-Min Tso, a behavioral ecologist at the National Chung-Hsin University in Taiwan, studied orb-web spiders (Cyclosa ginnaga) and the white, disc-like webs they construct. The researchers found that, when viewed by wasps, the spiders were indistinguishable from their webs. When they darkened either the web or the spider and videotaped how predator wasps responded, the researchers found that wasps were more likely to attack spiders that contrasted with their webs. "Since orb-web spiders can make silks, such [an] adaptation may facilitate the bird-dropping masquerading of these spiders," Tso told Live Science. Linda Rayor, an arachnologist at Cornell University in New York, pointed out that these spiders are not the only animals to disguise themselves as bird droppings. “It’s really not all that uncommon. Several other spiders, like Bolas spiders, also use this disguise,” she told National Geographic’s Weird and Wild blog.